Clarence currently works as CEO of AlphaRadian Inc., a technology startup he co-founded. He has worked in several technology roles for the last 20 years. 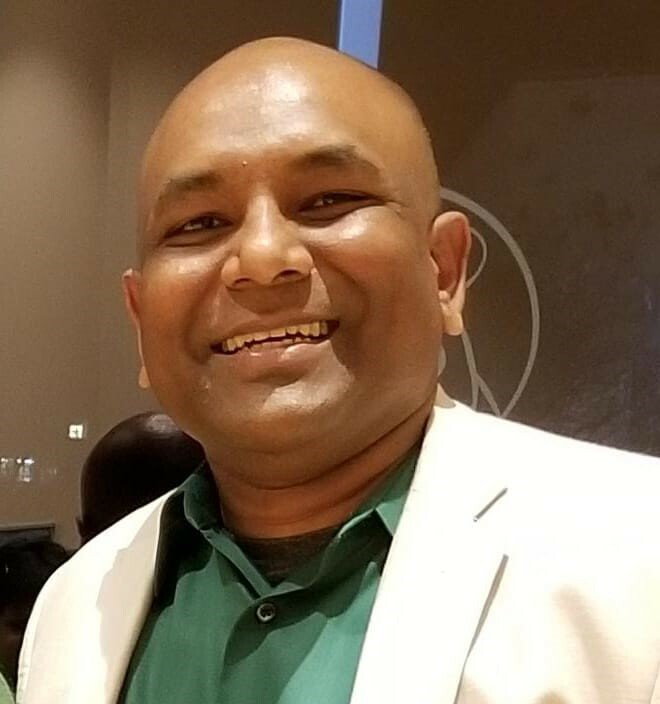 He was born and raised in Hyderabad, India and is passionate about social justice, human & environmental rights and sustainable economic development. He rarely uses his Masters in Mechanical Engineering and his MBA, instead relying on Design Thinking. He loves to meditate and can fool you into thinking that he is meditating when he is actually just checking Whatsapp. Ask him about Zen stories at your own risk. Clarence is an alumni of Leadership Charlotte and an active founding mentor of Framework For Future, a youth development organization serving the immigrant community. He currently lives in Charlotte, North Carolina with his wife Karuna Annavajjala. They have one daughter Valerie, who is in high school and getting ready to drive (hence the meditation). I’ve had friends who have dealt with Breast Cancer successfully (Thankfully) and are survivors. Depending on cultural norms, it’s not a topic that men talk about even with close friends and family. Having the right language tools is important for talking about such topics, made more so important since communication is so key to early detection and successful care and recovery. Region: I can help mainly in India, across most states in India. I can also help some in Nepal through friends and other non-profits.